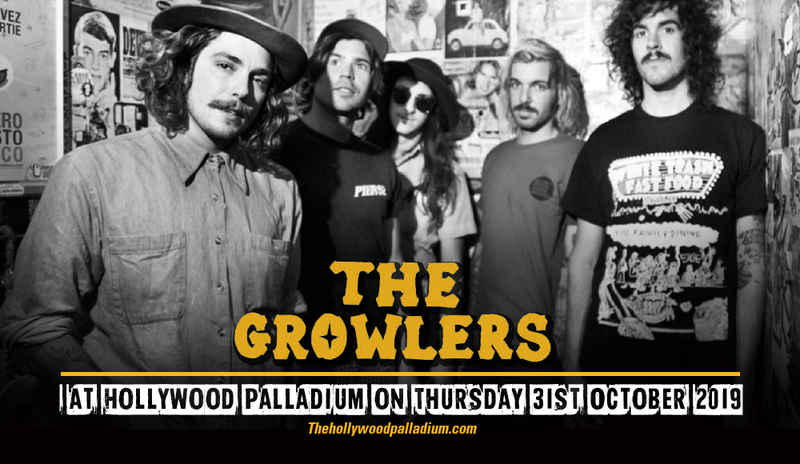 And they huffed, and they puffed, and they growled…The Growlers are taking their show on the road and will deliver yet another mind-blowing performance at the Hollywood Palladium on Thursday 31st October 2019. Their surf-rock sound labeled as "Beach Goth" has enjoyed a cult following but followers are growing in leaps and bounds. Tickets to this one-of-a-kind show are available at the moment, but who knows until when it'll last? The best way is to get them now before they get swept away by the waves of followers. Just follow the 'buy tickets' button and with a few easy clicks, you'll be well on your way to witness an artist a band that gives rock music an unusual twist. The 60s was a pivotal time in music history. The psychedelic sound and spirit of time triggered a revolution in pop and rock music. The various mutations of rock music were born during this time. As the rock genres and sub-genres progressed over time, there was one particular rock sound that didn't quite take off with the mainstream consciousness — psychedelic rock. A time machine must've brought them back in time. The Growlers are very much in the now, but they seem to be possessed with the spirit of the psychedelic 60s as they play it true to form as if they were playing at a pub in 1967. The Growlers have been around since 2006. As they released their debut album, "Are You in or Out," it managed to garner a local cult following in their hometown in Dana Point, California, USA. With five albums to date, The Growlers have a growing fanbase in various cities states like Florida, New York, and many others. They are a staple at various clubs and music festivals, and they also mounted their own yearly festival dubbed as the annual Beach Goth festival graced by the likes of prominent artists such as James Blake, Bon Iver, and Violent Femmes. Catch the wave of the psychedelic sound from The Growlers. It's a musical trip like no other. Get that ticket to ride now!